Preform remediation services in homes and businesses that have experienced Water, Mold, Fire and Smoke damage. Preform other specialty services as required. Perform restoration services that equal or exceed company and customer quality standards. Perform marketing tasks to sell additional services or develop additional business as required. WATER DAMAGE, become proficient in water damage restoration services to include structural drying, contents drying alone with precision demolition and salvage. Respond to jobs and perform immediate mitigation services in accordance with IICRC standards and Rainbow International’s 17 steps 24/7/365. At all times, complying with Federal, State and Local laws and regulations with regards to the use and disposal of chemical, removal and disposal of contaminated materials and supplies. FIRE DAMAGE, become proficient in fire damage cleanup, smoke and soot removal and deodorization of structural components and contents. Respond to jobs and perform immediate mitigation services in accordance with IICRC standards and Rainbow International’s 17 steps 24/7/365. At all times, complying with Federal, State and Local laws and regulations with regards to the use and disposal of chemical, removal and disposal of contaminated materials and supplies. MOLD DAMAGE, become proficient in mold remediation procedures including preparing an area for a post – clearance test to verify our results. 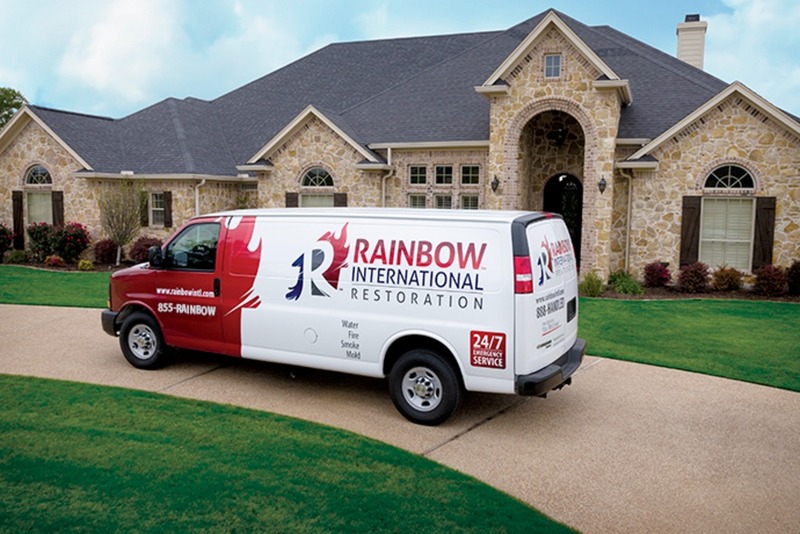 Respond to jobs and perform immediate mitigation services in accordance with IICRC standards and Rainbow International’s 17 steps 24/7/365. At all times, complying with Federal, State and Local laws and regulations with regards to the use and disposal of chemical, removal and disposal of contaminated materials and supplies. WORK STANDARDS, all work MUST be perform in according with IICRC, Rainbow International’s 17 steps, Federal, State and Local laws and regulation while exceeding customer and company expectations. DOCUMENTATION, review and explain all necessary documents with customer as well as obtaining all required signatures. VEHICLES, all vehicles must be kept clean inside out, fully fueled and stocked ready to respond at a moment’s notice. 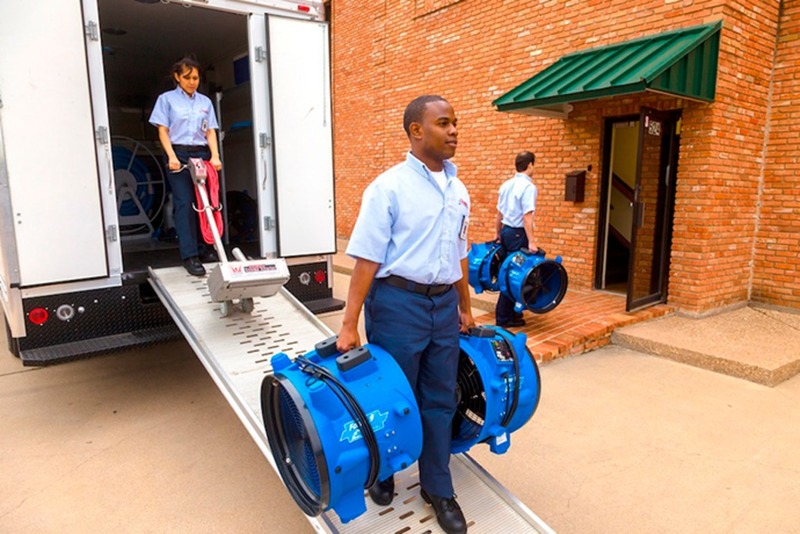 EQUIPMENT, all equipment must be kept clean, maintained and stored ready at a moment’s notice. TOOL BAGS, all tool bags must be kept clean, maintained and stocked ready at a moment’s notice. FACILITIES, all facilities must be kept clean, maintained and stocked ready to receive customers, adjusters, etc. at all times. SAFETY, comply with all verbal and written safety practices including the use and maintenance of personal protective equipment. Reading and comprehend all applicable MSDS’ for chemicals that require special handling and use of Personal Protective Equipment. OTHER DUTIES, perform other duties as required. These duties may include job functions that are outside the scope of normal job duties. HOURS OF OPERATION, our normal business hours are Monday – Friday, 8am to 4pm. However, we are a 24/7/365 days a year operation which means that if a job comes in and immediate response is necessary, we MUST respond. You MUST be willing to participate in an “On Call” rotation for such after-hours service calls. To perform this job successfully, an individual must be able to perform each essential duty safely and satisfactorily. Reasonable accommodations may be made to enable individuals with disabilities to perform the essential functions. Must be willing and able to participate in and pass a drug test prior to employment as well as during employment as required by the company. Must be willing and able to participate in a background check prior to employment. Must be proficient with Microsoft Office and other software. Must be proficient with handheld devices and an aptitude for learning new technologies. High school diploma or General Education Degree (GED). Restoration and construction experience is helpful but not required. Must have and maintain a valid vehicle operator’s license appropriate to the equipment operated. Must have the following certifications: WRT and FSRT. While performing the duties of this job, the employee is frequently exposed to fumes or airborne particles. The employee is occasionally exposed to wet and/or humid conditions and at times will be required to wear a respirator and protective clothing. OWERS OF OPERATION, our normal business hours are Monday – Friday, 8am to 4pm. However, we are a 24/7/365 days a year operation which means that if a job comes in and immediate response is necessary, we MUST respond. You MUST be willing to participate in an “On Call” rotation for such after-hours service calls.